* Does not include required hardware. Requires CalAmp LMU-1175 hardware. 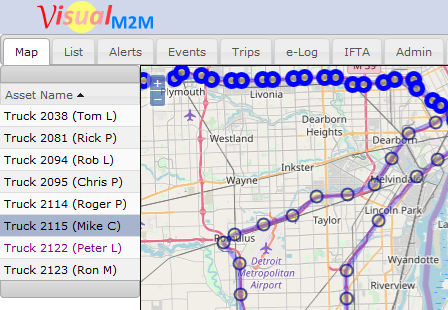 VisualM2M is an asset management platform provided by TrackM2M where managers and administrators can view GPS tracking data on maps and in reports. The platform provides maps, asset lists, zones, alerts, reports, statistics, trip data, asset utilization and more.